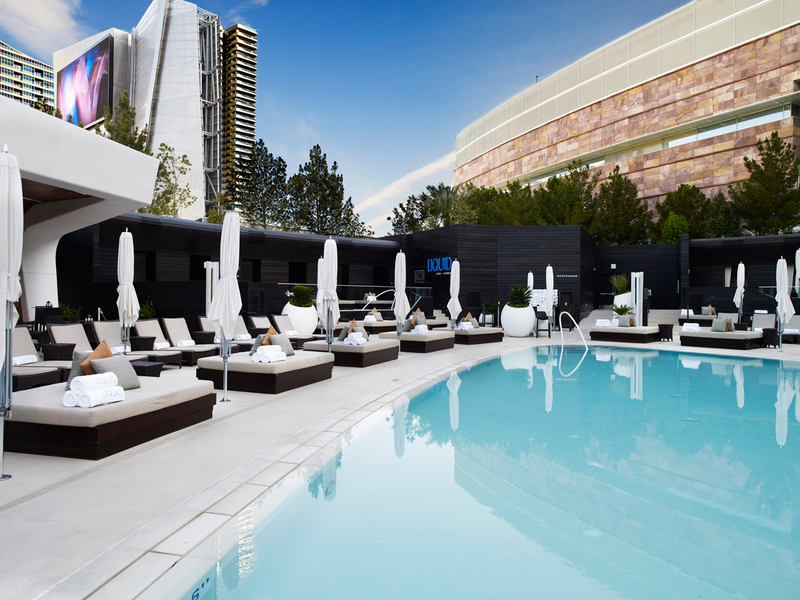 City Center consists of a collection of spectacular hotels and residences, casinos, spas and retail areas, including Aria, Vdara, the Mandarin Oriental, Veer Towers and Crystals. 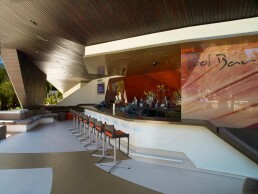 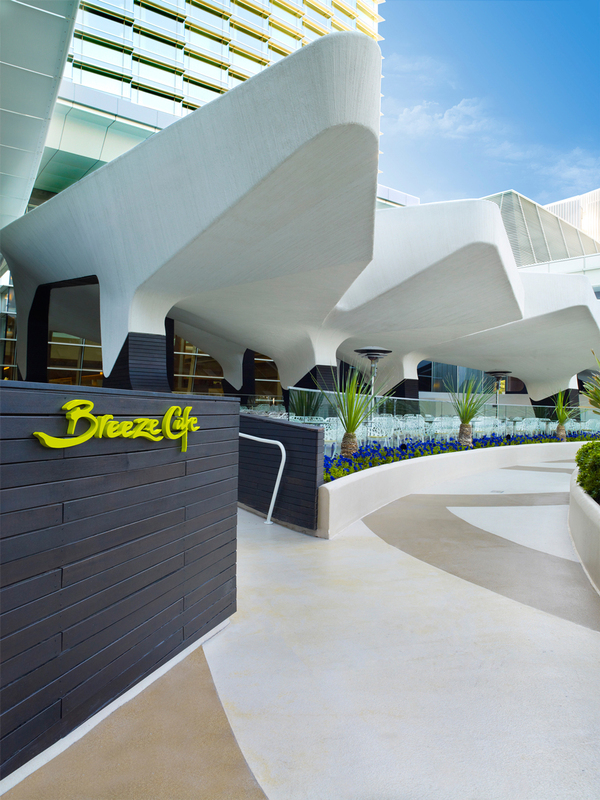 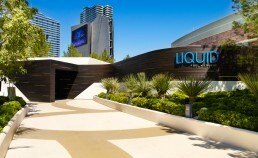 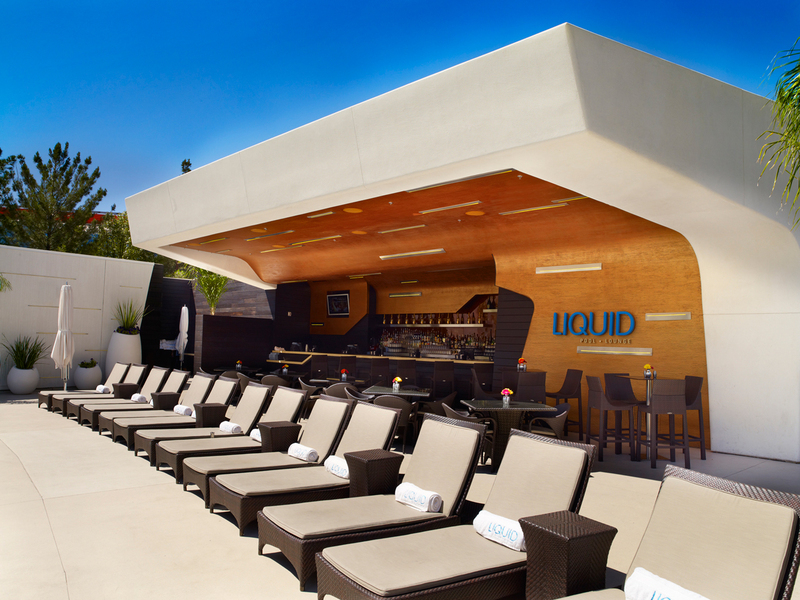 Located at the base of Aria, the main resort and casino, the pool deck is a lush tropical lagoon. 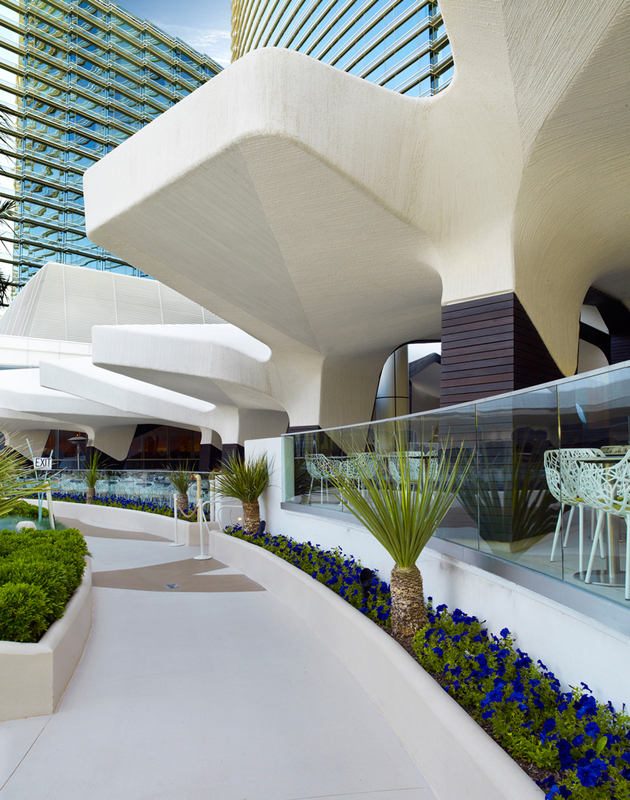 It is an intimate sanctuary of cabanas around a luscious pool area in the midst of the larger vision of the City Center. The structures constitute a fusion of the stunning beauty and richness of the tropics and the simplicity of our contemporary culture. 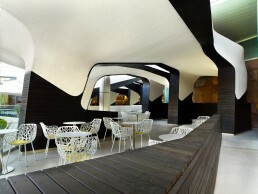 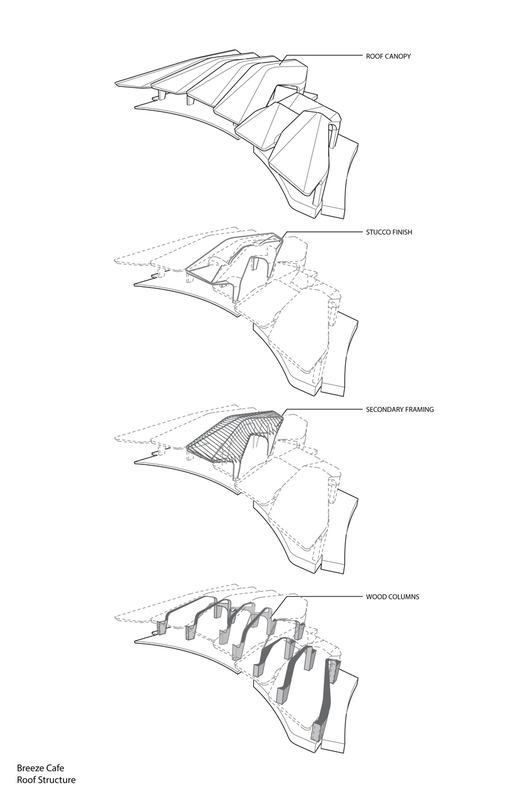 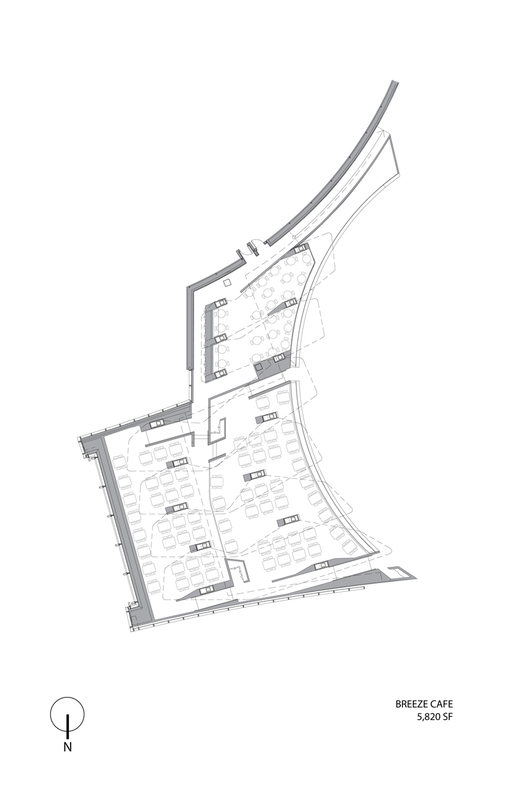 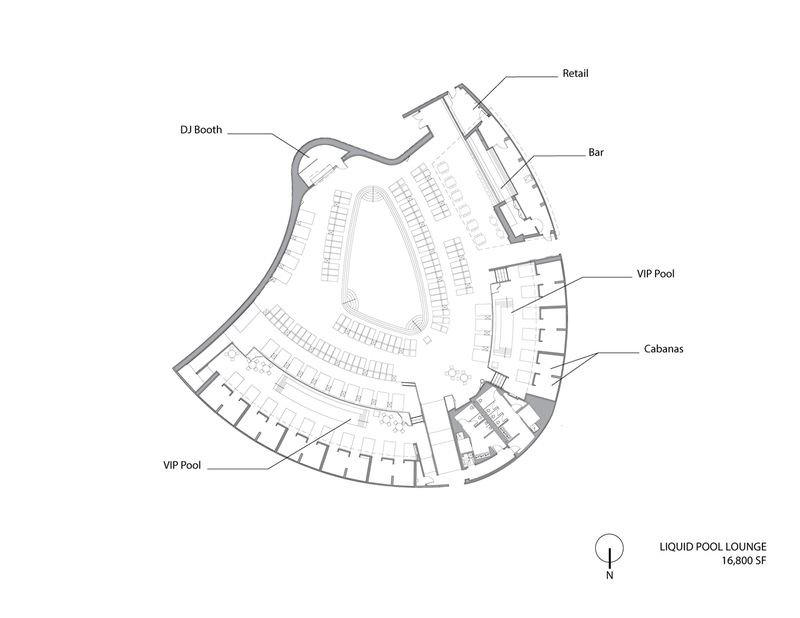 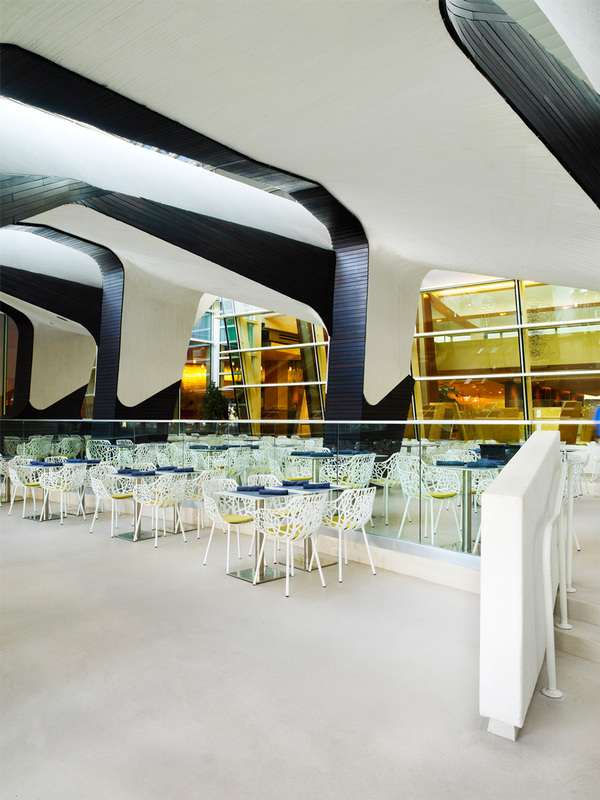 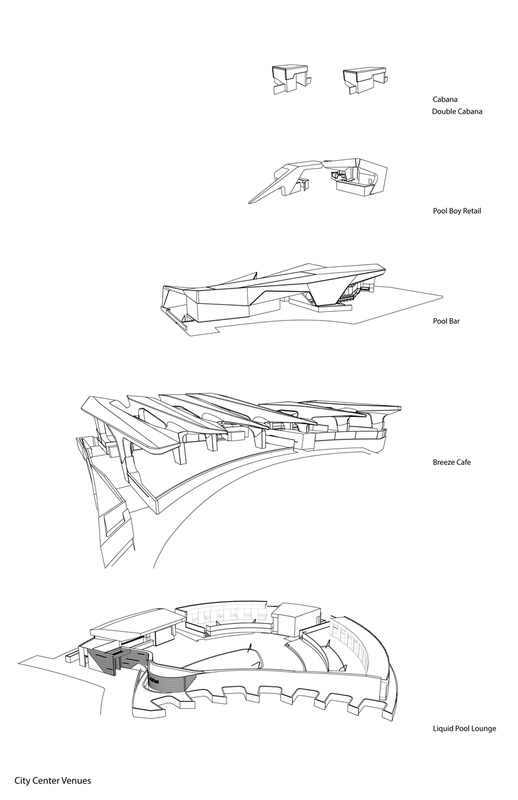 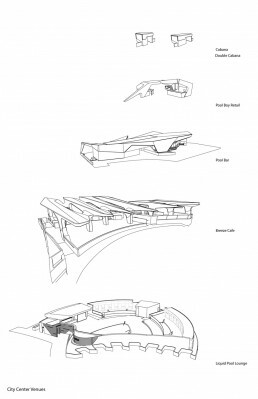 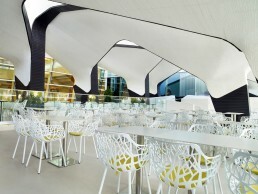 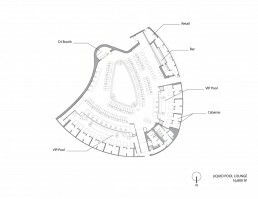 The architecture consists of a series of overlapping contours that were envisioned as a metaphor of fluidity and as a means to establish a spatial hierarchy for the distinct lounge areas. 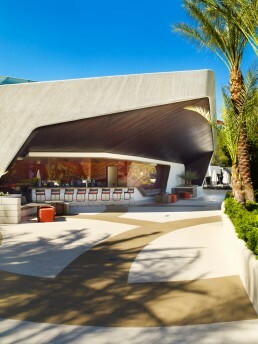 The project serves 1,500 guests and consists of 52 separate cabanas,2 bars, a restaurant, retail and a European pool lounge. 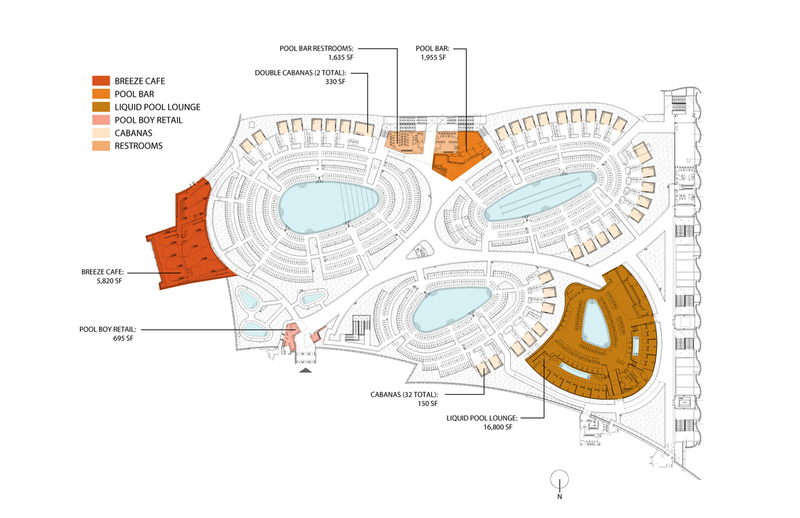 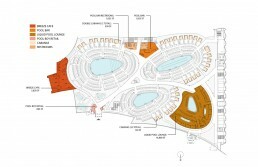 The individual buildings, designed as a family of structures set within a landscape, offer unique variation while unifying the overall composition of the pool deck and resort. 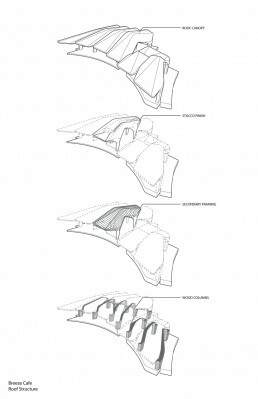 This is achieved through the use of a similar material palette and through the formal relationships of those materials, which plays between monolithic forms and panelized sections that create unique figure group relationships.